With the help of our design surgeons Ned Amendola, MD, and Phinit Phisitkul, MD, Arthrex® has developed a comprehensive, completely disposable system for endoscopic gastrocnemius recession. This minimally invasive technique allows surgeons to significantly improve patients’ dorsiflexion with minimal morbidity or risk of wound complications. 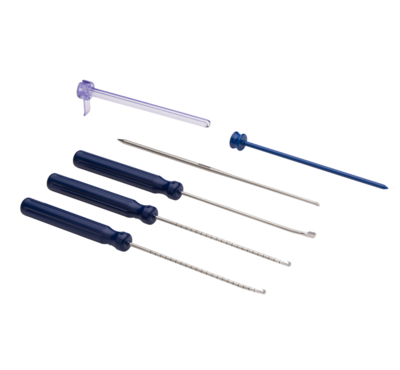 The EndoBlade™ System is a dual portal technique that is compatible with all 4 mm arthroscopes. 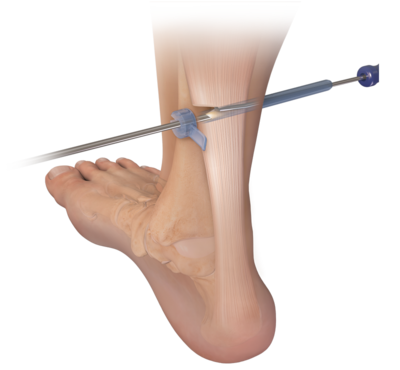 Highlights of the all-in-one EndoBlade System include ergonomic single-use blades, a transparent slotted cannula with optimized length and diameter to allow for visual feedback and a unique plane finder to avoid sural nerve damage. 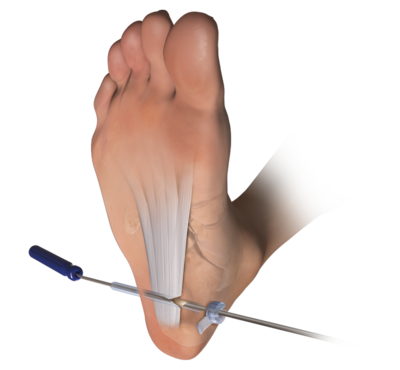 Arthrex has also developed an EndoBlade system for plantar fascia release. This system was designed in conjunction with Drs. Amendola and Phisitkul, along with Carl Hasselman, MD. This minimally invasive technique allows surgeons to release the plantar fascia from the calcaneus in one simple, controlled cut under direct endoscopic visualization. 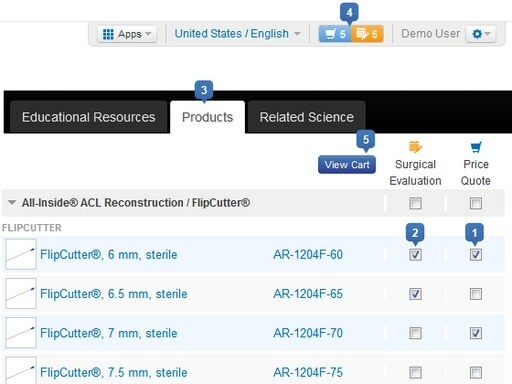 The EndoBlade system is a dual portal technique that is compatible with all 4 mm arthroscopes. Highlights of the all-in-one EndoBlade System include ergonomic single-use blades, a transparent slotted cannula which allows for real-time visual feedback of the soft-tissue environment and a unique Plane Finder that acts as both an obturator and switching stick to make initial cannula insertion a cinch.